Your smile is in good hands with Dr. Kanani, who has treated over 10,000 orthodontics patients in Surrey, Langley and the Lower Mainland area of BC. Let Dr. Kanani's patients tell you their story. Working with BC Orthodontist Dr. Kanani, you get more than his years of orthodontic experience. You get the best possible care at all levels. 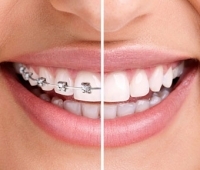 BC Orthodontist Dr. Aly Kanani specializes in orthodontics and Invisalign® treatments for patients of all ages – including children and adults – in the Surrey, Langley & Lower BC Mainland areas. At Dr. Kanani's modern orthodontic practices, your orthodontic care benefits from the latest in clinical techniques and a warm, multi-lingual, friendly team of professionally trained staff. To ensure the highest quality of communication during your treatment, we offer our services in English, Punjabi, Hindi and Polish. Dr. Aly Kanani and his teams at Guildford Orthodontics (Surrey) and Langley Orthodontics are proud to belong to the BC Orthodontics Group and follow their guidelines on patient care and quality orthodontics. Although it may sound too good to be true, AcceleDent is an orthodontic device that can speed up your orthodontic treatment process by up to 50%! But is it safe?